I shot my first ever circus performance years ago in Boston. I posted the photos back in 2008 in a post simply called Circus Smirkus, after the name of the group. By some extraordinary feat of good fortune, every circus post since then has been of Cirque de Soleil, including last year's post Vegas, O Cirque de Soleil!, as well as today's sneak peak at Totem. 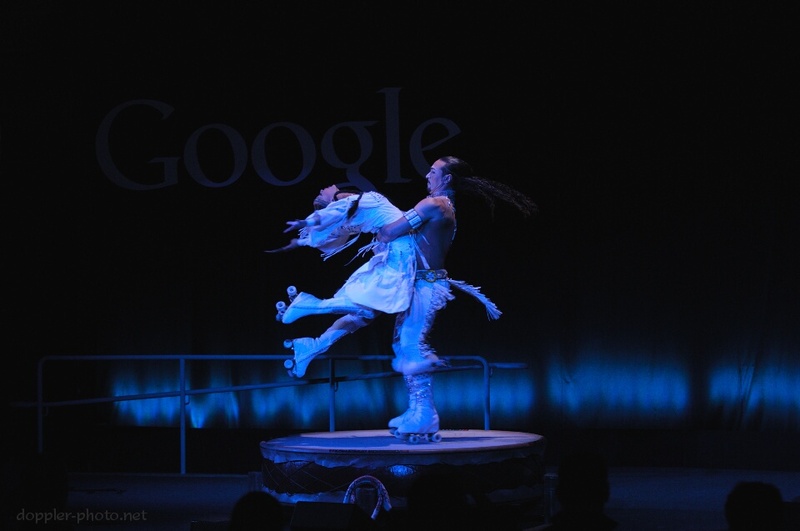 Performer Massimiliano Medini (right) holds Denise Garcia-Sorta as the two spin on a small platform with roller skates. Medini and Garcia-Sorta gaze at each other during a slow moment in the performance. The two reach for each other's hands as Garcia-Sorta prepares to step back down onto the platform. Garcia-Sorta, who wears a skin-colored leotard, spins in one axis from Medini's neck as Medini spins her around in another axis. Singer Christian Laveau sings and drums in the background. After the performance, three Totem staff answered a variety of questions. 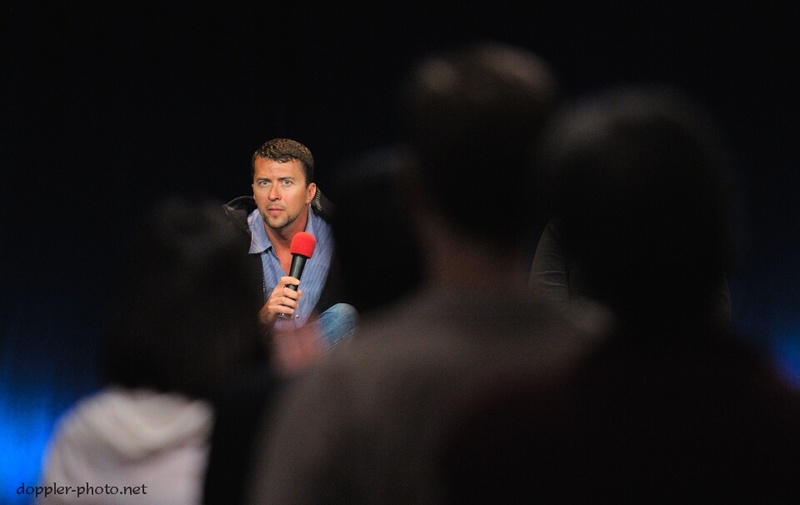 Here, Artistic Director Tim Smith listens to a question from an audience-member. Head of Wardrobe Amanda Balius (obscured) and Tour Manager Jeff Lund (not pictured) also answered questions.